A lot of time and effort went into selecting a turbocharger. With branding like "Turbo Camaro" it woul be unfortunate to use a junk turbo and end up blowing it in the first 20 minutes. It was decided to avoid selecting a big name like Garret or Turbonetics as they were too expensive and didn't fit in the big picture. Also, no scrap yard deals or cheap crap. It was decided to follow the same selection strategy as the BOV and wastegate. With so many horror stories and negative reviews of products purchased off eBay, it can seriously dissuade a potential buyer. Even with all the negativity, you can't tell me their isn't at least one inexpensive, reputable, high quality turbocharger brand on eBay. The process started with writing down all the names of the brands that wern't too expensive or look like complete garbage. The initial list was googled and searched on multiple forums and names were slowly but surly crossed off. The final name was CXRacing. 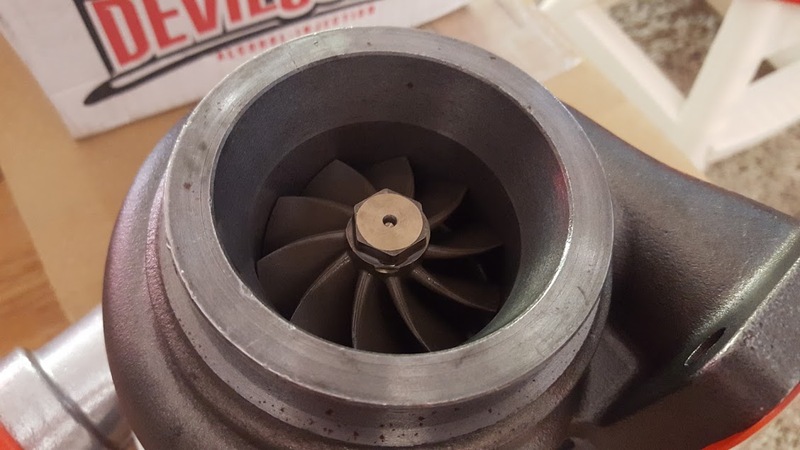 They have the most positive reviews for a budget turbocharger brand, but they do have a few negative ones too. 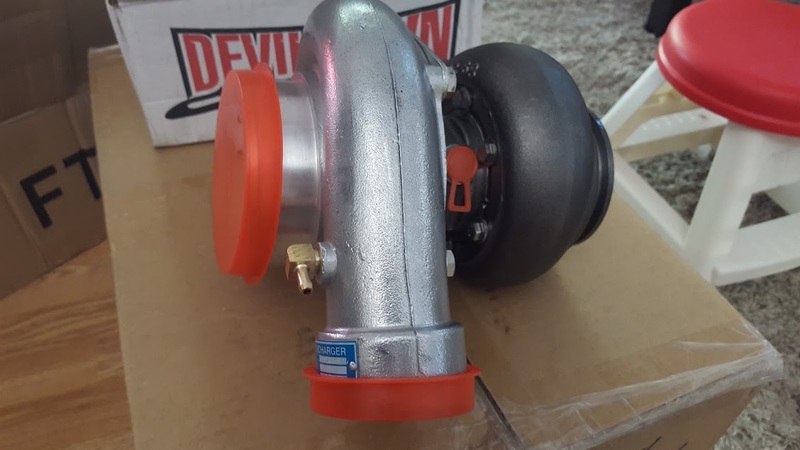 Since turbochargers are complex engine parts and require precise installation it is expected to see some cases of negativity from the client. Most of the issues observed in negative reviews were related to condition upon receipt or issues caused by customers not inspecting their part prior to install. 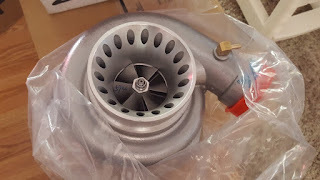 On a positive note, a lot of strong reviews were read with customers using CXRacing turbochargers for in high horsepower twin setups with no issues and several had been using them for years without issue. When reading reviews online you need to be objective as it's considerably more likely for a mad customer to write a review than it is for a happy one. 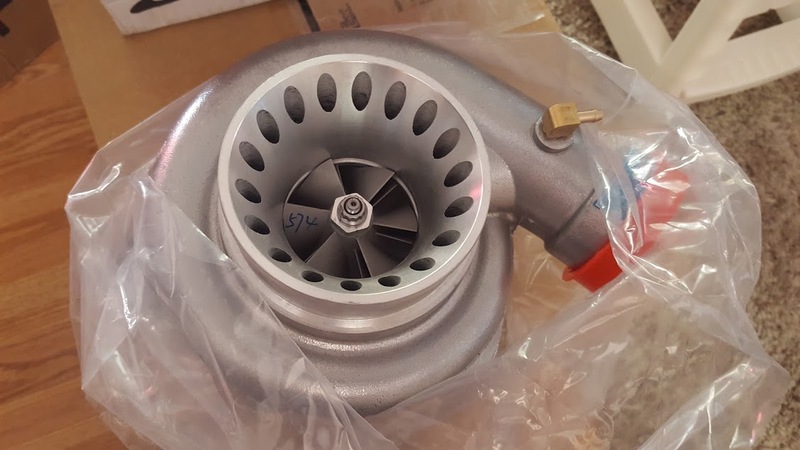 After all that, a CXRacing T4 GT35 0.68 AR turbocharger kit was ordered off eBay for $280US. The turbochargers are designed and tested to handle up to 500HP, which is 100HP more than the top end goal for this vehicle. The kit came with the required gaskets and oil/water fittings. 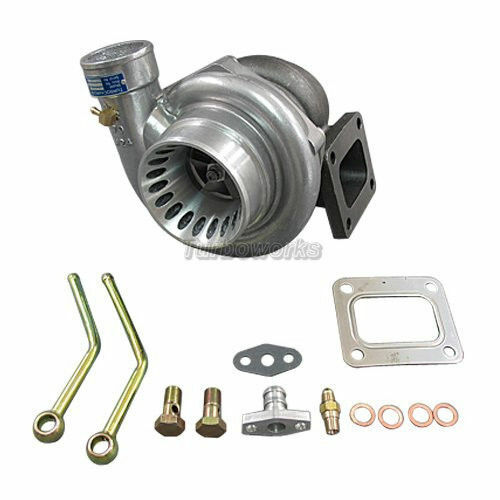 The size and specifications of the turbo were exactly what the build needed to ensure a quick spool while maintaining decent cruise speeds. It's important to reiterate, Turbo Camaro is not sponsored by any brand. Any time a product brand is mentioned it's because they have been identified as having potential to manufacture a quality product. If any of the products used to build Turbo Camaro fail, nothing will be held back and these pages will be updated. 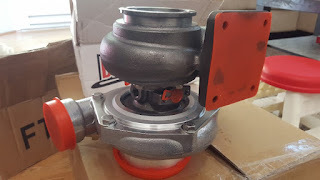 Upon receipt of the turbocharger, the build quality appeared to be excellent. All of the ports were covered with red plastic covers and it was well packed to ensure no physical damage could occur. Initial inspection was was quick and easy. The turbines spun freely and appeared to be very sturdy on their axis. 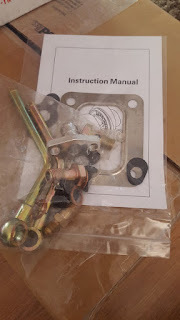 Within the provided oil fittings and water banjos was an instruction manual containing basic inspection notes as well as the results of the running test done on the turbocharger post production. Needless to say, the part appears to be of great quality and the CXRacing team know how to ship a part. The first impression was exceptional. Lets face it, we still haven't gotten any indication of how it functions. Updates will be added to this page once the final build is completed and the turbocharger is tested. A video review is planned for 2016.